Earlier today, HTC unveiled the Sensation smart phone at a press event in London. Although international announcements rarely bring news about an iteration for the United States, the company issued another press release shortly afterwards. 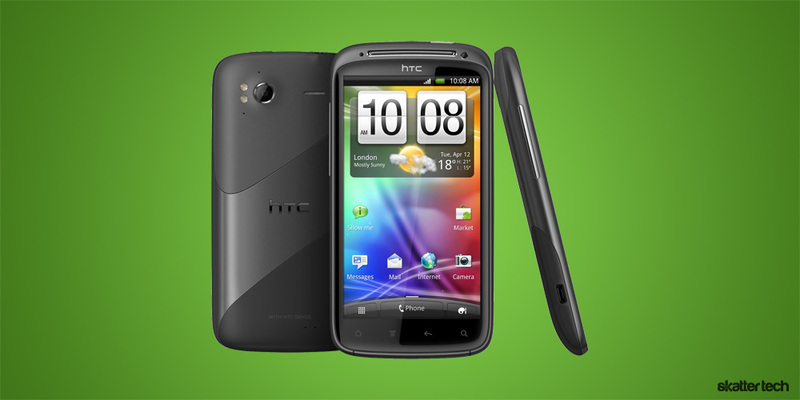 It turns out that the HTC Sensation 4G will make its way to T-Mobile this summer, making it one of the carrier’s most powerful handsets. “The HTC Sensation 4G combines this great multimedia experience within the latest HTC Sense experience in a premium device that delivers a powerful and unprecedented smart phone to our customers.” – Peter Chou, CEO of HTC Corporation. Much like the HTC EVO 3D announced at the CTIA 2011 Sprint press conference sans the stereoscopic screen, the HTC Sensation 4G also sports a 4.3 inch qHD display. This brings a higher pixel density for better looking graphics, images, text, and videos. The new smart phone also features an aluminum uni-body construction and a contoured screen. There is also an entirely new version of HTC Sense, elements of which we demoed last month. For instance, the HTC Sensation will feature a new lock screen with real-time information such as current weather, online photos, social network updates, or a stock ticker. Users can also add shortcuts to the lock screen to jump into an application immediately. Another exciting edition is 1080p video capture at 30 frames per second with the integrated 8 megapixel camera. It even features dual microphones for natural stereo audio. HTC Sense even includes basic video editing tools to crop clips for sharing with friends and family through web services. For premium entertainment, HTC Watch brings movies and TV shows to you smart phone with support for progressive viewing. This means users can begin watching a show even if the download is not complete. Customers will have the choice to buy or rent videos too. Update: Watch the full keynote on YouTube. Nice phone. can’t wait to get it.